Oops! PadMansecond week's earnings are significantly less that its first week's collection. The film, starring Akshay Kumar, Radhika Apte and Sonam Kapoor, has made Rs 76.65 crore by the end of week #2, tweeted trade analyst Taran Adarsh. 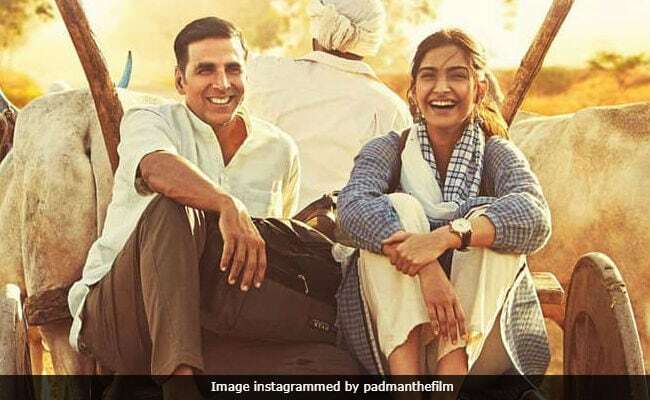 PadMan directed by R Balki and produced by Twinkle Khanna made a little over Rs 13 crore in the second week in contrast to the Rs 62.87 crore earning of the first week. Akshay Kumar's Rs 20 crore-film may not be able to cross the rs 100 crore mark at the domestic box office. #PadMan witnessed a downward trend in Week 2... [Week 2] Fri 2.10 cr, Sat 3.15 cr, Sun 3.78 cr, Mon 1.50 cr, Tue 1.25 cr, Wed 1 cr, Thu 1 cr. Total: 76.65 cr. India biz. PadMan's week #2 business was affected primarily by the release of Hollywood film Black Panther. But Sidharth Malhotra's Aiyaary (which released with Marvel's Black Panther) and Sanjay Leela Bhansali's one-month old "Padmaavat" also pocketed a few crores. In the last week, "Padmaavat" made over Rs 12 crore, Aiyaary earned above Rs 14 crore and Black Panther took the top spot with over Rs 27 crore in its pocket. #BlackPanther Thu previews + Fri 5.60 cr, Sat 6.65 cr, Sun 7.10 cr, Mon 3.27 cr, Tue 2.69 cr, Wed 2.36 cr. Total: 27.67 cr Nett BOC... Gross BOC 35.47 cr. India biz... Note: Hindi + English. #Aiyaary Fri 3.36 cr, Sat 4.05 cr, Sun 4.35 cr, Mon 1.43 cr, Tue 1.10 cr. Total: 14.29 cr. India biz.#Aiyaary - OVERSEAS - Total till 20 Feb 2018: $ 1.12 million [7.26 cr]. #Padmaavat [Week 4] Fri 1.75 cr, Sat 3 cr, Sun 4 cr, Mon 1.55 cr, Tue 1.25 cr, Wed 1.23 cr. Total: 280.53 cr. India biz... Note: Hindi + Tamil + Telugu. PadMan gave up its initial release date (January 25) to "Padmaavat," the release of which was delayed by over one month in the first place. PadMan is based on the life of Arunachalam Muruganantham, who invented low-cost sanitary pad making machine and raised awareness about sanitary health among rural India. A Muruganantham's story has been adapted in a short story - Sanitary Man From A Sacred Land - by Twinkle Khanna in her second book titled The Legend Of Lakshmi Prasad.